How do I subscribe or upgrade my plan? If you let your 14-day free trial expire, your account will automatically transition to our free Basic Plan. To maintain the features of our paid plans, do the following. 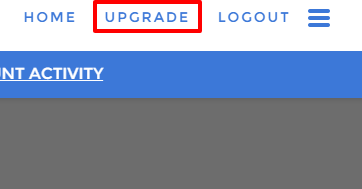 Log in to TaskClone and click the "Upgrade" button in the menu bar. Review plan details and click the "Subscribe Now" button for your plan of choice. Enter you payment details in the Paypal interface. When finished processing your annual subscription, Paypal will return you to TaskClone and your account will automatically be upgraded. Your annual subscription will auto-renew unless you suspend or cancel prior to the end of the year term. You can suspend or cancel at any time through Paypal or by contacting us. Note: You can pay by credit card through Paypal without creating a Paypal account. You can upgrade from one paid plan to another by simply paying for the new plan (e.g. Plus to Premium). Forward the payment receipt received from Paypal to support@taskclone.com and we'll process a refund of your prior plan. Note: We do not offer plan downgrades at this time.